Turkey, France and Sweden are the exotic locations I visited at the weekend through the power of party streamers, imagination and alcohol. Andrew’s mates have a strong tradition of hosting ‘World Parties’, whereby 3-5 hosting houses pick a country and party-goers are treated to the food, music and alcohol of said country before ‘flying’ to the next destination (often via a layover at the pub). International ‘travel’ without the associated jet lag (but with an inevitable hangover)? Yes please! So we decked out Andrew’s place in French flags and fairy lights, bought a stack of croissants, half a wheel of brie and put sparkling wine on ice (well, in the fridge but that doesn’t sound as chic) before heading to the Qantas Club Lounge (the park with an Esky) to kick things off. So impressed. The amount of footage I’ve shot with the aim of creating a video like that before never getting around to it… Niki has put me to shame! Be sure to look out for the hilarious attempt at ‘The Worm’ at 4:21. It was an excellent night. Thankfully because we started so early (4pm) we finished rather early too, so getting up at 8am for a World War I re-enactment march on Sunday morning wasn’t so bad. It was a pretty moving ceremony, then straight after I went to a Vietnam War veteran’s memorial ceremony. Hearing the Last Post twice in one day was fairly full on though, it usually brings a tear to my eye on Anzac Day. Then last night, just to truly cap off a weekend of bizarrely different events, a bunch of us went to a Science Week event at the pub called Profs and Pints. A panel of really interesting science people like Dr Chris Smith from the Naked Scientists spoke and answered our questions. It was fascinating. particularly the stuff about infections and Ebola and how quickly we can transport deadly viruses. Nice! 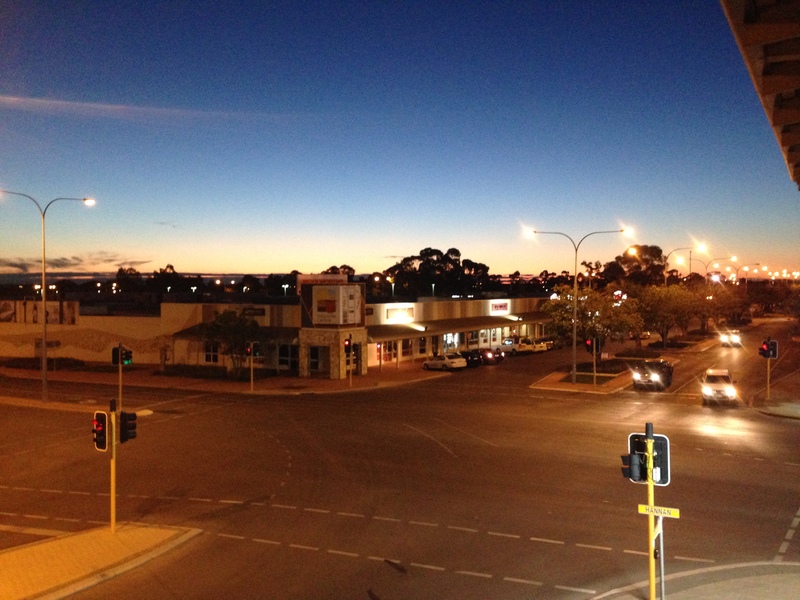 Afterwards we got the only food available in Kalgoorlie at 9pm on a Sunday: kebabs. What a fun idea! 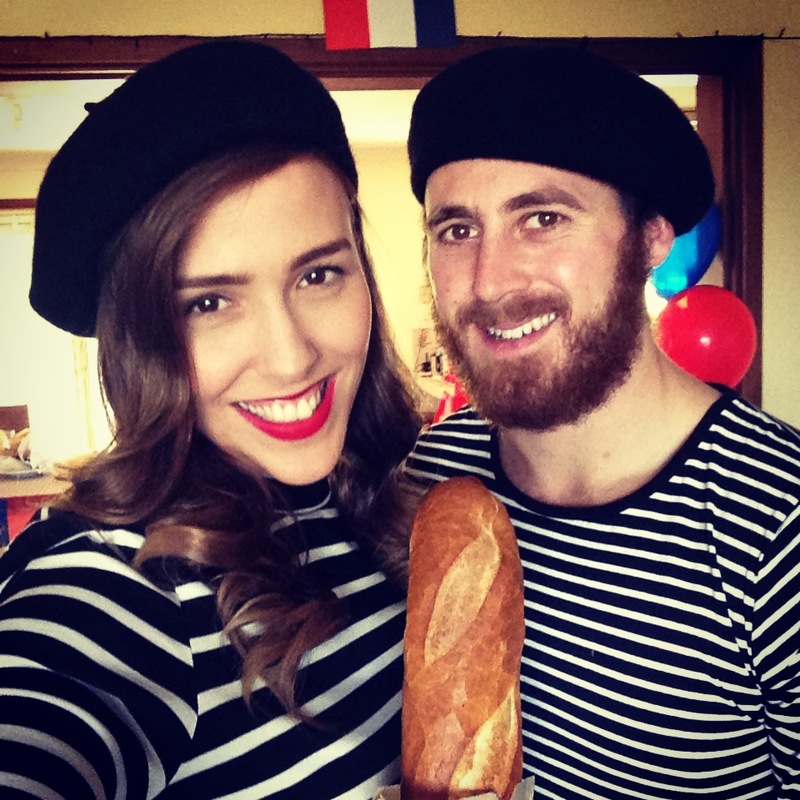 Love the French outfits! Thank you 🙂 I had a choice of about 20 horizontally striped black and white tops and dresses, so it was the easiest costume ever! 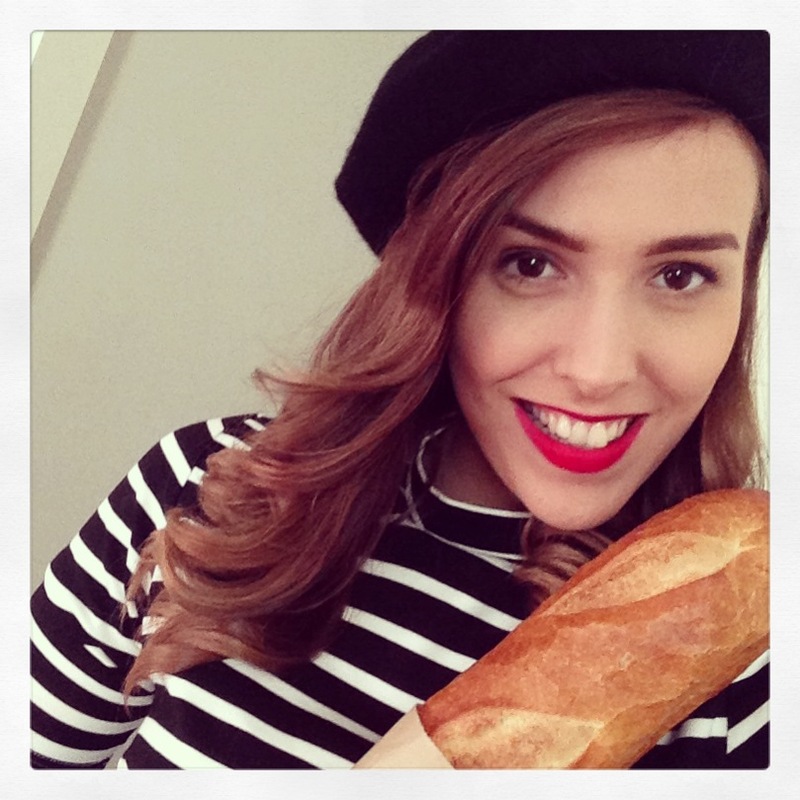 Haha it was really just another day of dressing for me (plus a beret)! That looks like a fantastic and fun party / journey Im jealous. Thanks Patrick! It was great. Will definitely do it again I think. So much fun. You nailed a Parisienne my dear. Why thank you! That means a lot coming from you!